Unfortunately, due to Skye having a cold, only the beans came along. 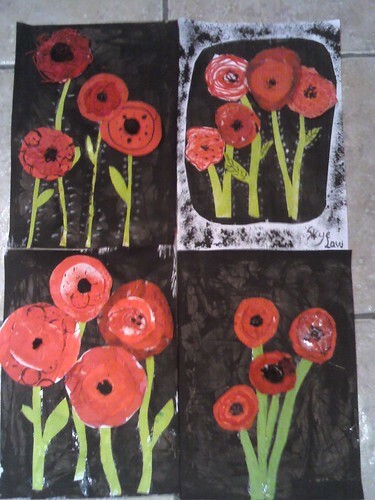 We had a great day, starting off creating this mixed media Poppy picture to mark Armistice day. They worked really well and I was very pleased with the results. We also managed to catch up on Story of the World with Helen and the girls taking it in turn to read. 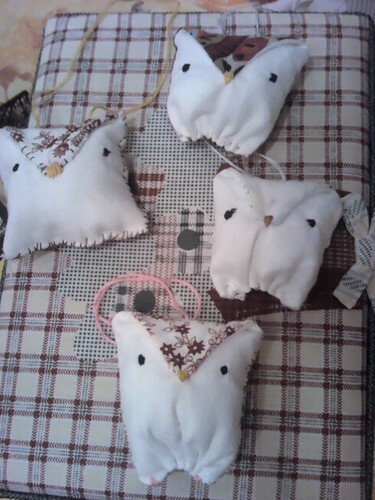 We had a go at making some cute miniature owls. The girls had piano lesson in the evening and before we went in, Poppy had more or less decided this would be her last one as she was apparently rubbish! 😦 Which she is not! After a great lesson, she came out with a Certificate and is happy to continue. Phew! A fewweeks ago Merry did some poetry with the girls. Macavity The Mystery Cat; they loved it. The follow up activity was to watch a clip of ‘Cats’ featuring said song and create a ‘Wanted’ poster. Following on from this the girls and I read Skimbleshanks: The Railway Cat, watched the clip from Cats and created a newspaper article about him.